Clipboard Master is a free, universal clipboard manager for Windows that allows you to copy, paste, collect, organize and store text, images, files and folders that copied to your clipboard. In contrast to Windows, Clipboard Master features a multi-clipboard that you can use to access previous copies with the ability to store up to 10,000 entries. 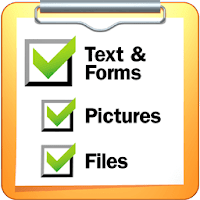 By using it you can keep all previous texts, pictures, and files copied to the clipboard in a list, and insert them in any Windows program at any time. Moreover, Clipboard Master offers an integrated password safe that allows you to securely store, manage and quickly access your passwords. You can use these for log-in forms on websites and login dialogs in Windows programs. The data is stored encrypted and securely pasted. Disclaimer: Direct downloads for the lastest version of Clipboard Master 4.5.5 are provided by the official software's author, we can't guarantee safety, availability or download speed. Moreover, we don't and we won't provide any pirated/illegal versions or tools. We recommend you to avoid it as these methods can harm your device. If you like the software, buy it to support the developers. (We provide software discounts for many worldwide brands).